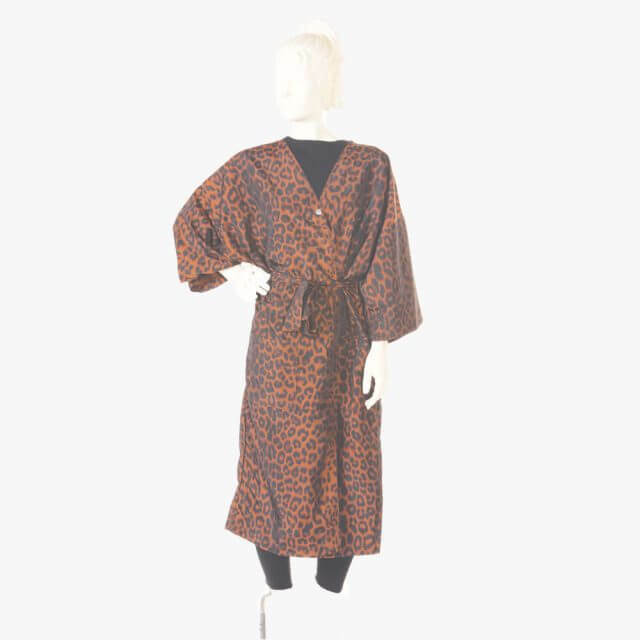 Leopard Print client gown with belt that is attached in the back and 2 pockets and top snap. I purchased this last month and washed several times. Even after every wash it remains the same. 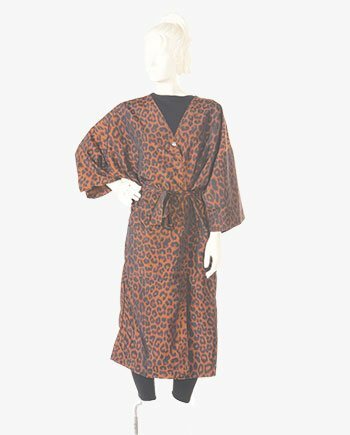 This leopard print gown is best stylish gown. Animal print has been my choice from long. Nice gown! !